a bibliography of important scholarly work on Shakespeare and theatre more generally, from regions around the world. Please contact us if you would like to be involved in this project or if you are able to share any materials (e.g., full video recordings or clips) that would be useful in constructing a small demonstration site to solicit grant support for the project. 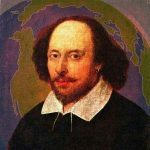 Interested scholars and MIT Shakespeare Project staff will work to obtain formal permission from the authors/directors before anything is published online.